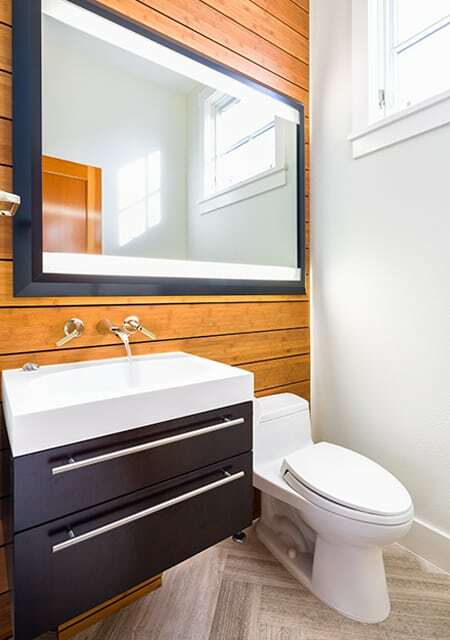 To create a warm yet modern look in this Longmont powder bath, one wall is covered from floor to ceiling with bamboo slats. Texture abounds in the wood-look tile on the floor. The rich colors and textures complement the sleek brown-black vanity and mirror. 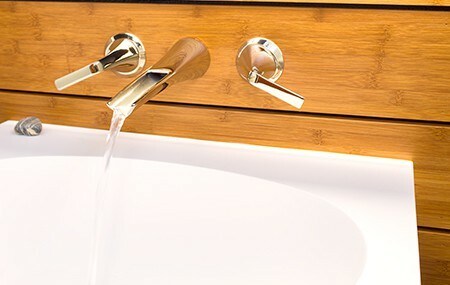 A contemporary wall-mount faucet completes the chic look.